The Town of Brattleboro has contracted with Zaluzny Excavation from Vernon, Vermont to replace a portion of the water main on the easterly side of Main Street between Elliot and High Street. Construction will occur on the easterly side of Main Street starting at 133 Main Street and proceeding north to High Street. Construction preparations will be starting Monday, April 8, 2019. Construction is expected to be completed no later than May 17, 2019. The Brattleboro Farmers’ Market is seeking new vendors for its 2019 season. We’re particularly looking for prepared foods (breakfast/lunch) and cheese, but all applications are welcome in the areas of agriculture, prepared/specialty foods, and crafts. We’re a producers-only market, which means all products must be grown or made by the applicant. Generally, vendors hail from Windham (VT) and Cheshire (NH) counties, but this year we can accept out-of-county prepared food and craft vendors on a one-year basis. Time once again for the animated, interactive, Brattleboro-centric, advent-ish calendar, featuring different scenes and local facts, sponsored by no one. 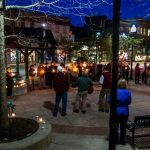 The iBrattleboro Christmas Calendar. While it is continually popular, we were debating whether to bring this back again this year. 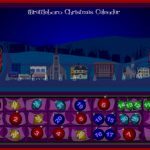 The Christmas Calendar is built in Flash, an ancient programming tool that is fading away. iPads and many other devices just don’t allow it anymore. It’s the return of the 1% Local Option Sales Tax (LOST) at the next Brattleboro Selectboard meeting. The board will try once again to convince residents and businesses to add a 1% sales tax to purchases in the ‘boro, despite competition from online shopping and nearby states. 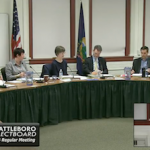 The Downtown Brattleboro Alliance will give their semi-annual report and present a budget for the coming year, a private drive will be named, finances reviewed, and the board will discuss housing, and economic & community development. You can bring up other items not on the agenda, or a side dish, by attending the meeting at the Municipal Center on Tuesday. At their next regular meeting, the Brattleboro Selectboard will take some early steps toward work on the next Hinsdale Bridge. The new bridge begins with relocation of some utility lines near the project and some signing of agreements, at least as far as Vermont is concerned. NH is building it. Vehicles for hire will again be on the agenda. New vehicles will be purchased, financial reports will be heard, litigation with Retreat Farm will be resolved, Hermit Thrush will get a break on loan payments due to their product recall, bulky waste collection will be discussed, and more. You can bring up other items not on the agenda during public participation. I’m going to argue for free parking in Brattleboro. The main reason we have to pay for parking here and not in most other towns in Vermont is to pay for our parking meters, parking enforcement, and parking infrastructure. Other than helping to pay for parking lot paving and snow removal, this is a silly, unnecessary burden for locals and visitors, and could instead be money spent in downtown stores. The Brattleboro Selectboard will be altering the parking system at their next regular meeting at the Municipal Center. Rates are going to go up to help cover the costs of credit card service fees. Parking changes comes after a parking survey that gave them feedback on parking-related issues, and special requests by the downtown organization. The board will also consider licensing of transportation network companies, requiring app-based ride services to comply with modified local taxi regulations. Brattleboro will also buy a bunch of trucks, protect us all from the evils of liquor, buy heating oil, and replace Rod Francis on various boards and commissions. You can bring up other items not on the agenda during public participation. You’ve probably heard of CBD by now if you’re not already using it. It’s that new hemp product containing non-psychoactive the cannabinoid Cannabidiol that people are taking for inflammation and stress. 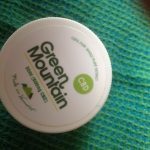 As a recent convert myself, I thought I’d offer my experience treating long-term chronic neck and shoulder pain with CBD Oil. The short version is simply this: it works. When I say chronic, I mean that the pain in my neck (I know) has been there since at least 2005 when I started doing yoga in an effort to relieve it. That didn’t work, and neither did stretching, deep relaxation, or massage. I wasn’t able to stop doing the thing that was causing the problem because it’s a constant and necessary part of my job. I’m referring to mousing, which is how I make the cursor move around. Typing is no problem but mousing is killer. I now use a trackball but even that hasn’t put a dent in the problem. The Brattleboro Selectboard scheduled too many weighty issues for their Tuesday meeting at the Municipal Center. As the meeting went on, agenda items were jettisoned in repeated attempts to keep the length of the meeting somewhat reasonable. Those issues that were discussed were discussed in detail. The board learned about the Utilities Fund budget and possible rate changes in coming years, discussed goals for the coming year, received a presentation on the results of a Downtown Parking Survey, and held a public hearing on the Town Plan revision. They attended to Department of Transportation paperwork, settled a lawsuit, changed the name of a street, applied for grants, and more. 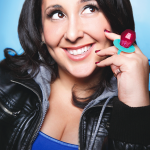 BRATTLEBORO, VT – Strolling of the Heifers presents “An Evening of Comedy with Robyn Schall” on Saturday, April 14 at 8:00 p.m. Robyn’s blend of stand-up, sketch and improv will make this an event not to miss. BYOB and laugh ‘til the cows come home! This special night of comedy is a fundraiser for Strolling of the Heifers’ Farm-To-Table Apprenticeship Program. Tickets are priced from $20-$40 and are available at strollingoftheheifers.com/robyn-schall. At 8 to 9 a.m. On the morning of Sunday, April 8th the Brattleboro fire department will hang the We Celebrate Democracy / Civil Rights For All main street banner over Main St. at High St. in downtown Brattleboro. On the night of the 8th at 7 pm we have organized a “Light A Candle For Democracy” candlelight vigil for democracy under the banner (rain date the 9th). Democracy is the light of the world, but the Dark Force is trying to put it out. Stand up for Democracy. Bring yourself and friends and family with candles to light for Democracy. We will light our candles at 7:25 (sunset). Pliny Park has been reserved for this event. Best parking is in the High Grove Lot. Bring a candle to light, bring a song to sing, bring words to speak, for Democracy. We need more people who want to speak up for Democracy. Please contact us.